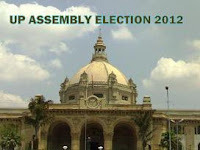 Polling began on Saturday on a slow note for the second phase of the Uttar Pradesh Assembly elections for 59 seats in 10 districts that will decide the fate of two state presidents, 31 MLAs and 24 former ministers. The polling in the Uttar Pradesh Assembly elections picked up after a dull start on Saturday with 18.9 per cent of nearly two crore electorate exercising their franchise till 11 am. The fate of 1099 candidates, including 31 sitting MLAs and 24 former ministers and at stake in the second phase of polling on 59 of the 403 assembly seats. Once a Bharatiya Janata Party (BJP) bastion, it is the Bahujan Samaj Party (BSP) that has the highest number of MLAs in this region. Saturday's constituencies are spread across nine districts – Azamgarh, Gorakhpur, Ballia, Ghazipur, Maharajganj, Deoria, Mau, Sant Kabir Nagar and Kushinagar. Most of them are located along the Bihar border. A high 62 per cent voted on February 8, the first day of the crucial battle for Uttar Pradesh involving primarily four actors – the ruling Bahujan Samaj Party, Samajwadi Party, Bharatiya Janata Party and Congress. Saturday is witnessing 20,426 polling stations and some 20,800 electronic voting machines (EVM).